AKA: Revenge of the Crab Droid. Here are more videos of mecha building instructions for your viewing enjoyment. Star Wars Crab Droid. A quick, simple build. Video quality isn't that great though. Mech + Instructions #3. Another build from Captain Hobby. 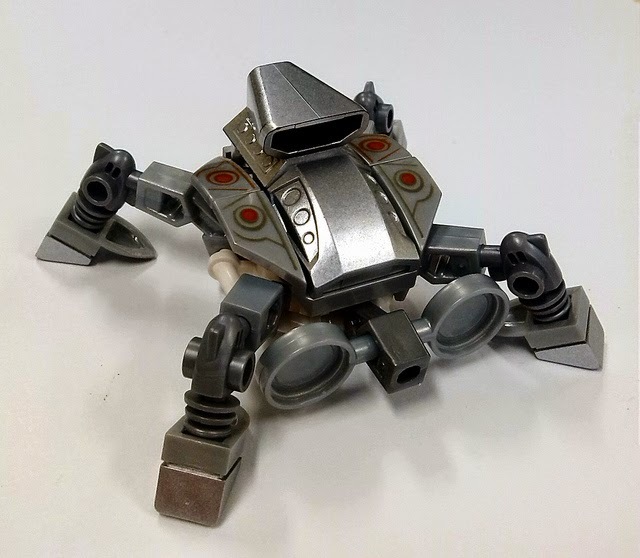 Custom Lego Crab Droid. This one has music. A more complex creation than the first crab droid video. Lego Mech Armor. Kinda simplistic. 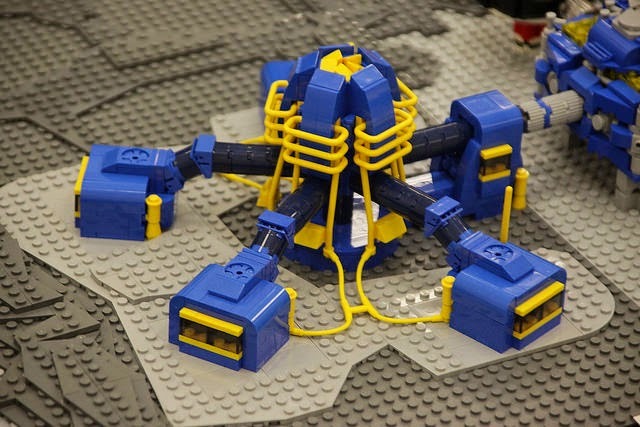 Lego Crab Droid Tutorial. More simplistic than the first Crab Droid video. Here are some microscale builds for your enjoyment. one's a fun build and it even has instructions. it look awesome sitting on a game table? Here's the original. a large build but this could possibly be 7P scale. 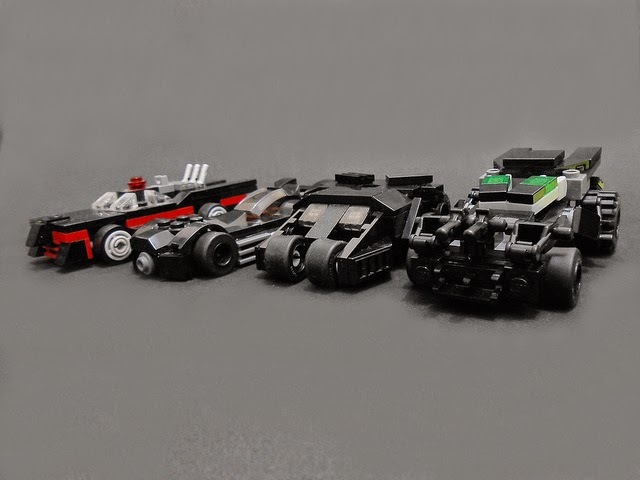 want a bunch of Batmobiles on their gaming table? neat. A lot of character in a small package. Black Friday -- the day after Thanksgiving -- is one of the biggest shopping days in the United States. To help drive sales lots of interesting deals are usually offered. I'm going to post links to some of them. Toys'R'Us has 50% off Galaxy Squad sets and Kre-O sets. Walmart has 10664 Creative Tower for $30.00. Target has four sets at 40% off. Kmart has four sets at 40% off and all City and Friends sets are on sale. Also, BOGO50% Mega Bloks. And, last but not least, there are four sets -- Chima and Superhero -- on sale. Some stores are also starting the sales early. I've heard rumors of TRU starting the sale early for Rewards members. Walmart also has a pre-Black Friday sale. Between Hallowe'en and Christmas, a fair amount of polybags tend to be released onto the retail market. Bag. I purchased this for $3.99 at Target. It has 32 pieces. Price per Piece is $0.13, which is not that great. Minifig. I managed to incorporate some of these parts into the build. spread of colors and pieces. There just needs to be more. Build. IO Frigate. I like this one. It's evocative. Score: B- (-5). Again, when a Star Wars set has a better Price Per Piece ratio, then you're in trouble. Bag. I purchased this for $3.99 at Toys'R'Us. It has 34 pieces. Price per Piece is $0.12, which is not that great. but I couldn't figure out how to do so. Parts. This is a weird mish-mash of parts and colors. in this set. Only the quantities are rather limited. Build. Stompy. I had fun building this. MFZ Stats: 2Rd/2B/1Y/2W+SSR. Score: B- (-5). When a Star Wars set has a better Price Per Piece ratio, then you're in trouble. Bag. I purchased this for $3.99 at Toys'R'Us. It has 54 pieces. Price per Piece is $0.8, which is really good for a licensed set. Plates are just some of the good parts I see. Frigate for IO but this looks more like a generic starfighter. Can you build a frame, or frames, right away? Yes. Score: A+ (+20). Depending on how long this one sticks around, we may have a winner here. I bought a few of these Mega Bloks Hot Wheels sets on Clearance right after Hallowe'en. I wasn't expecting them to be marked down but I had been wondering about them and grabbed them when I saw the price. not good. The can is fairly sturdy and re-usable which I always like. Parts 1. The mono-body, one more time. Parts 2. Those exhaust vents look interesting. probes. the Black 1x4 Modified Plate will be good for greebling. Tiles in this set of parts, along with regular Plates and Tiles. It should be fun to experiment with those "flame" Tiles. Score: B- (-5). Like most licensed sets, this one gets hamstrung by the cost. Getting it on Clearance like I did raises the score to a A-. of this size are going to be constructed around one of these. figure out how to use them at the moment. Slopes. All these parts should be good for greebling. Plate, and that molded steering wheel piece. Score: C (-15). Like most licensed sets, this one gets hamstrung by the cost. Getting it on Clearance like I did raises the score to a B. Well, that is a mouthful of a title. I bought a few of these Mega Bloks Hot Wheels sets on Clearance right after Hallowe'en. I wasn't expecting them to be marked down but I had been wondering about them and grabbed them when I saw the price. Can. MSRP is $9,99 for 51 pieces. Price per Piece is $0.20, which is not good. The can is fairly sturdy and re-usable which I always like. Parts 1. When I looked at the "actual size" picture on the side of the can and the relatively low piece count, this is what I feared. Parts 2. Parts like this are great for large scale greebling, but they drive up the cost of the set. Parts 3. Now we get to the small pieces microscale builders really like. Those fin tiles are pretty cool as are the 1x1 brackets. The double female plate is really neat. Score: B- (-5). Like most licensed sets, this one gets hamstrung by the cost. Getting it on Clearance like I did raises the score to a B+. This is a bit of a variation on my usual Spotlight post. I'm just going to talk about some of Cole's recent creations. 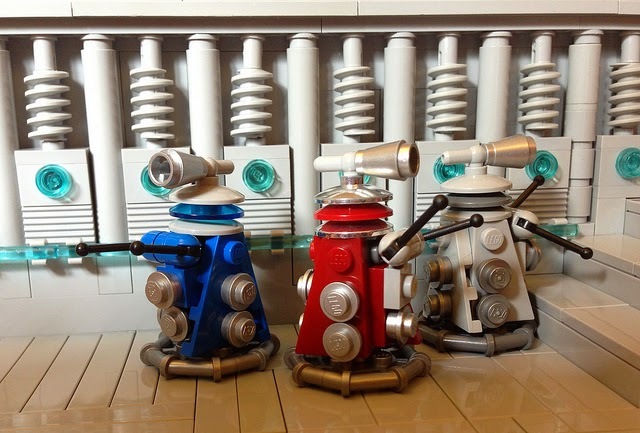 All of these use a majority of the metallic shaded Lego pieces so therefore look very robotic in nature. I was tempted to post them in numerical order, but I'm going to stick with chronological order. Unfortunately he's disabled downloads so the pictures in this post are going to be a bit different than usual. Titan FX.05. The start of this interesting series of builds. What catches my eye is the inverted samurai helmet at the front of the torso. Titan FX.04. 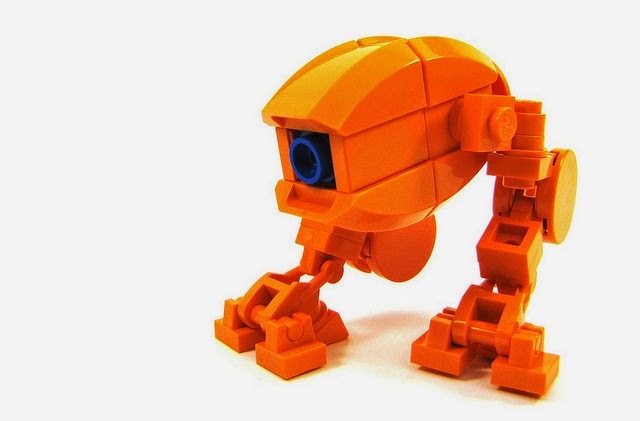 A variant on the all popular Tachikoma design. Titan FX.02. The asymmetrical nature of the body makes this one a little more interesting than the others to me. Titan FX.03. I know that is a collection of guns on the back but, this one looks like a repair bot to me. Titan FX.06. The sphere in the middle of the torso makes this one look like a spy bot. Titan FX.01. This one's a slight bit different from the rest, using 3rd party parts and off color parts. And maybe a bit more threatening. All in all a very interesting set of builds. There was a bit of a trainwreck on the MFZ FaceBook page yesterday after someone posted something that was marginally on-topic at best and insulting at worst. The discussion over its "worthiness" broke down pretty quickly and the post was removed. We even lost a few members from the FB group over this. One of the things that's coming out of that kerfuffle is a discussion of what is an applicable inspiration to share with the community. People have a habit of posting things to the FB group that they consider "on topic" by the dint that they include Lego. A lot of times these aren't really on topic and would really be better suited to posting their own personal FB feeds. 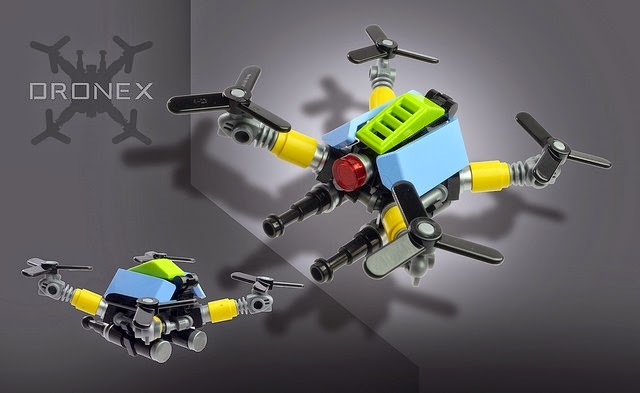 Just because something is made of Lego doesn't automatically make it relevant to MFZ. 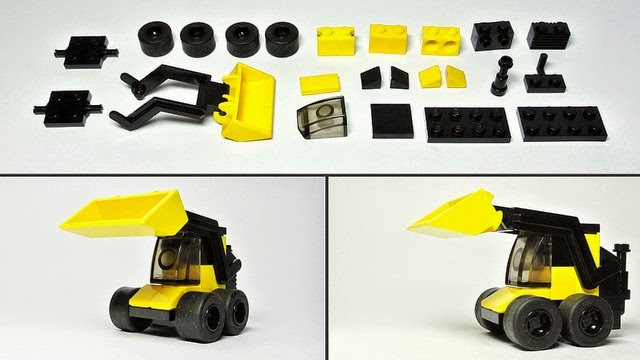 There also seems to be an idea that building techniques for larger scales can be used at the smaller scales that dominate MFZ. This ties into another issue. There's always been a bit of backlash on the multiple MFZ social media sites about the different scales people build at for MFZ. While I've never actually seen a battle report on the Hangar for a minifig scale MFZ game, there is a small section of the MFZ community that likes building at that scale. They tend to be found in the Flickr group and are vocal on the subReddit. 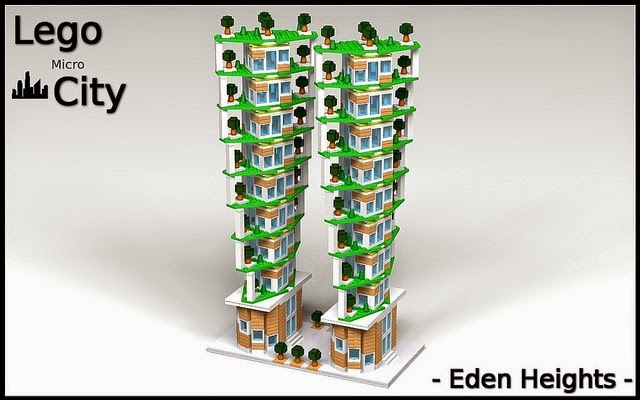 Also, there is a larger portion of the community that likes building in 4P scale. I'm a member of the second but not the first. There's usually some shouting, "That's not in scale!" whenever someone posts a creation that isn't expressly labeled as being 7p scale. I'm as guilty of this as the next person. There's some overlap with the Size Creep Argument in this as well. 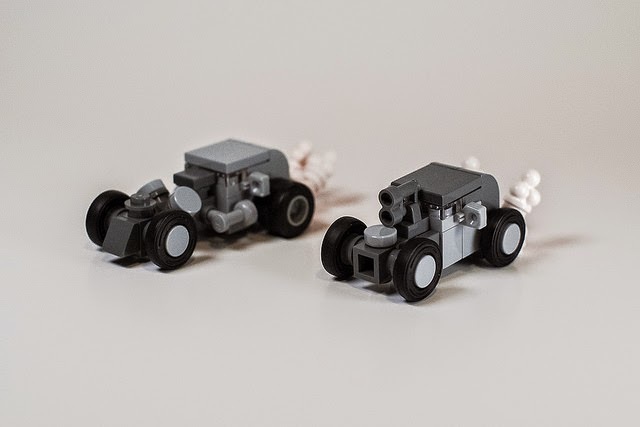 As much as you, I, or anyone may feel that the minifig scale builders are people from outside the MFZ community looking for hits, +1s, upvotes, etc., we should still give them the benefit of the doubt. Let's not be overly exclusionary, as some other gaming communities may be, and give these people a chance to fall in love with this game the way we have. And, let's be a little more careful about what gets posted to the FaceBook group. since there's no "safety valve" over there the focus has to be little tighter on exactly what is relevant. I'm feeling a little lazy after this weekend. I not blogged about this yet? It's adorable. and silver pieces to present a unified look with this mech. similar to Boxbot or Pumpkin-bot. Dronex by (FLAVIO). The color really pops in this one.